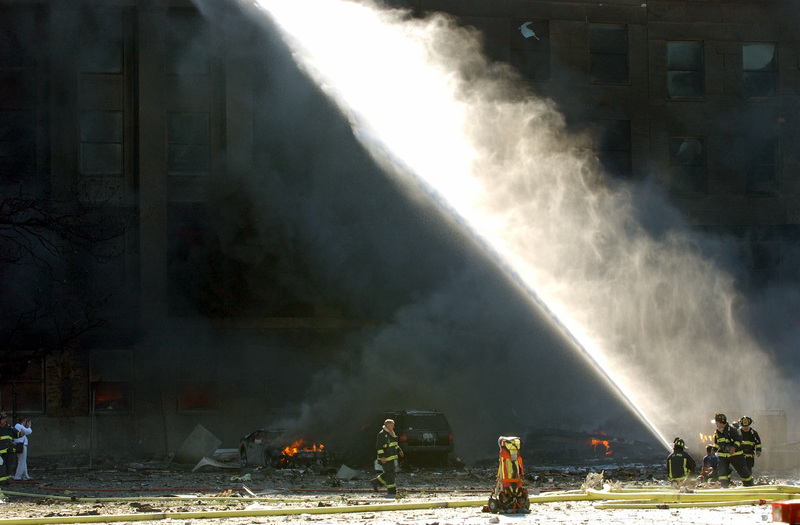 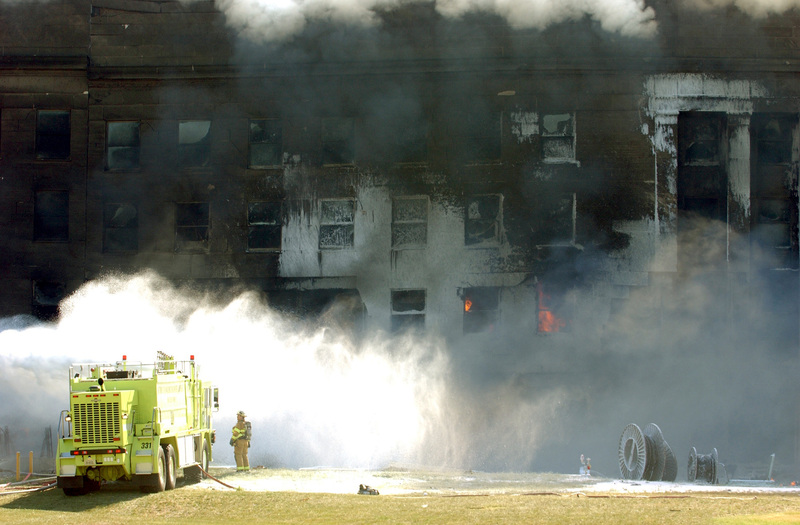 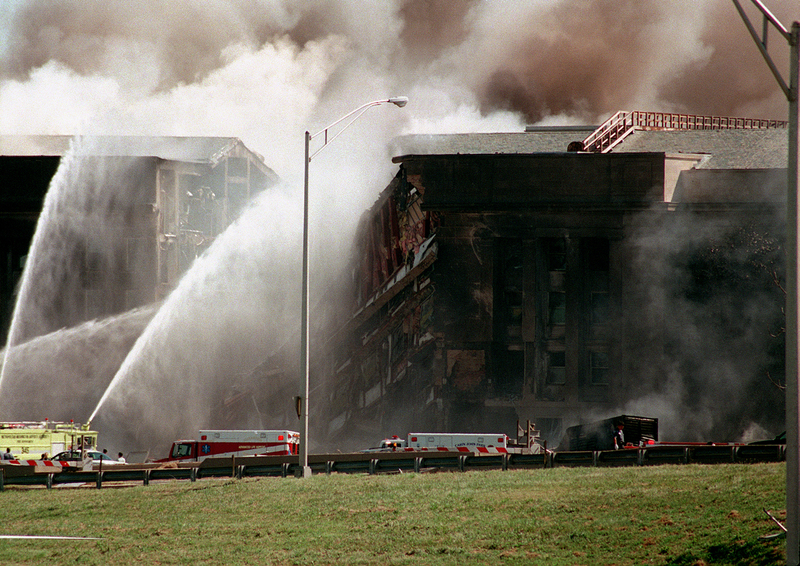 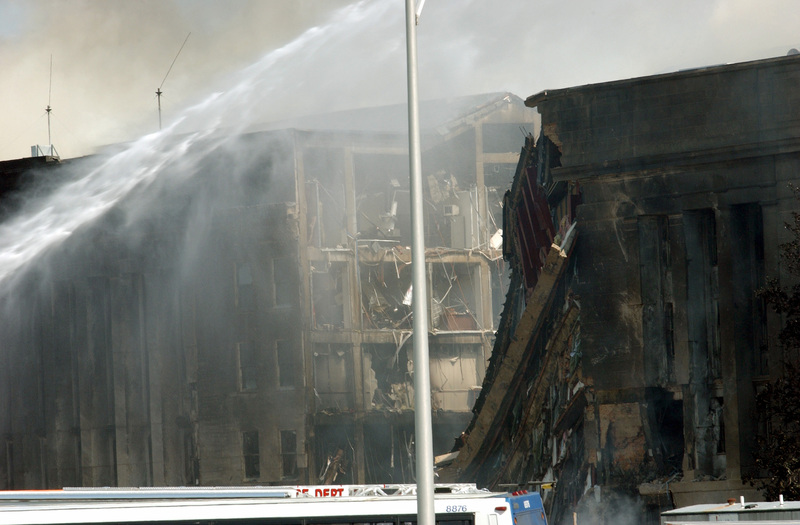 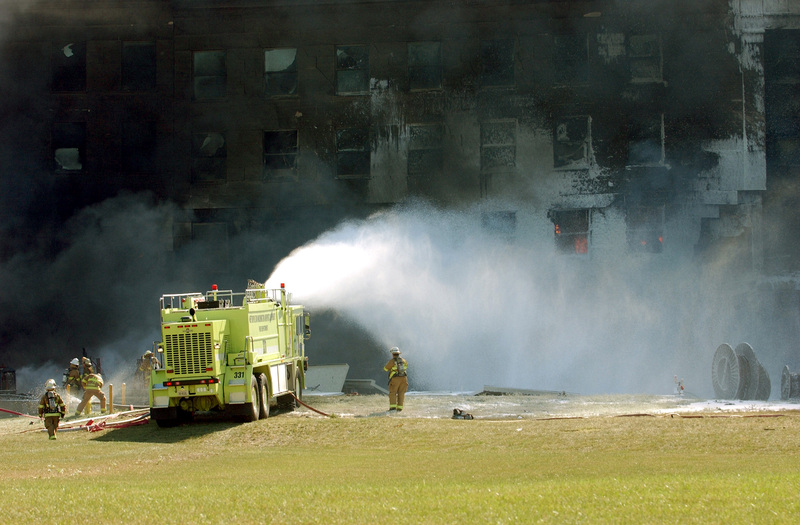 Firefighters work to put out the flames moments after a hijacked jetliner crashed into the Pentagon at approximately 0930 on September 11, 2001. 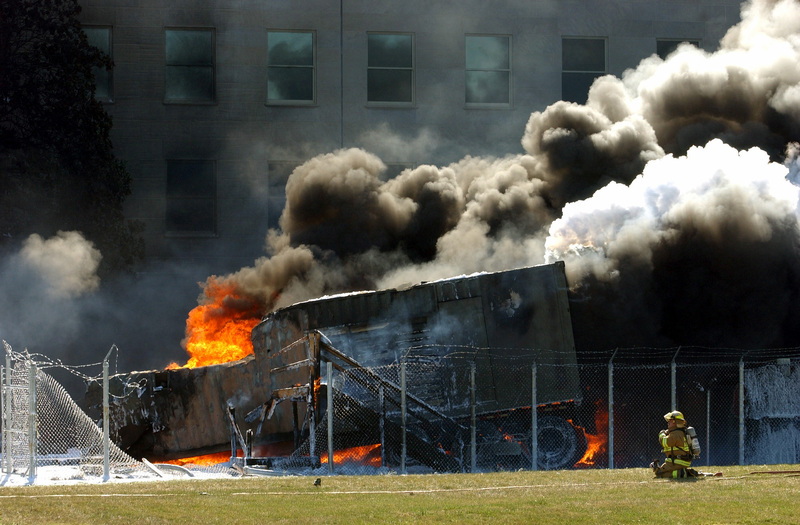 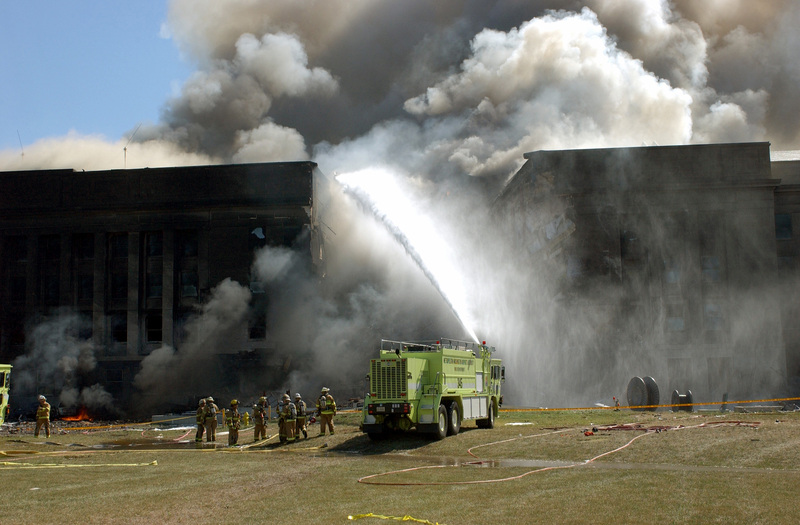 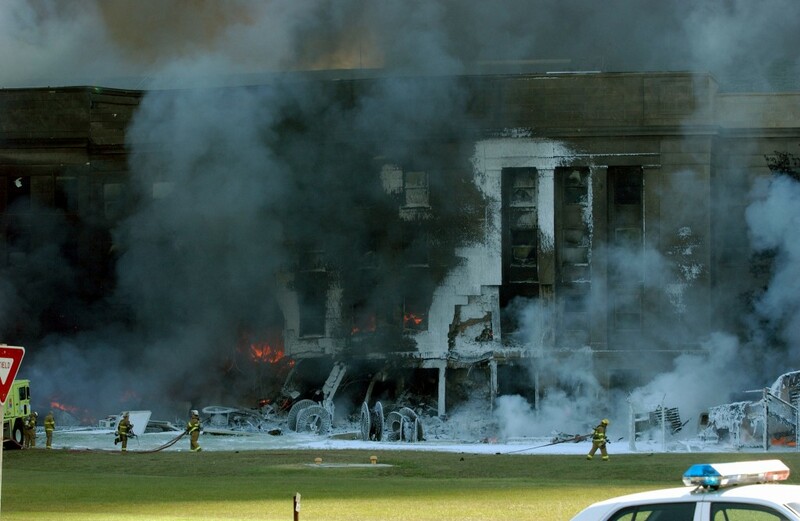 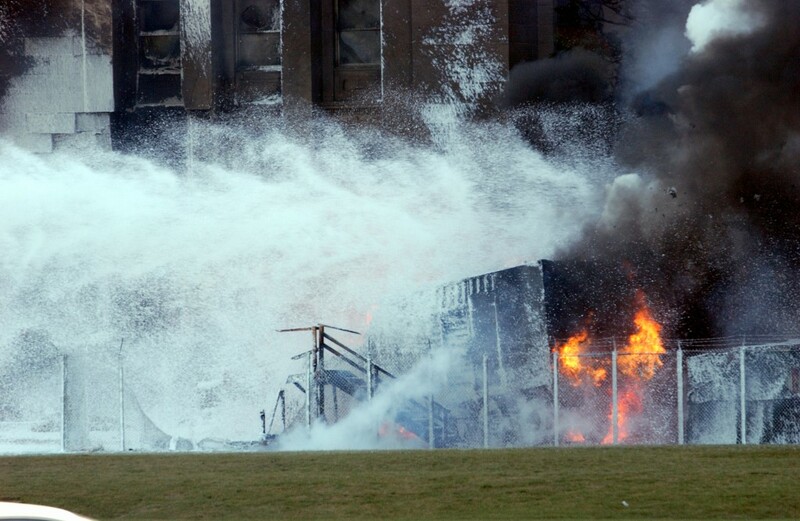 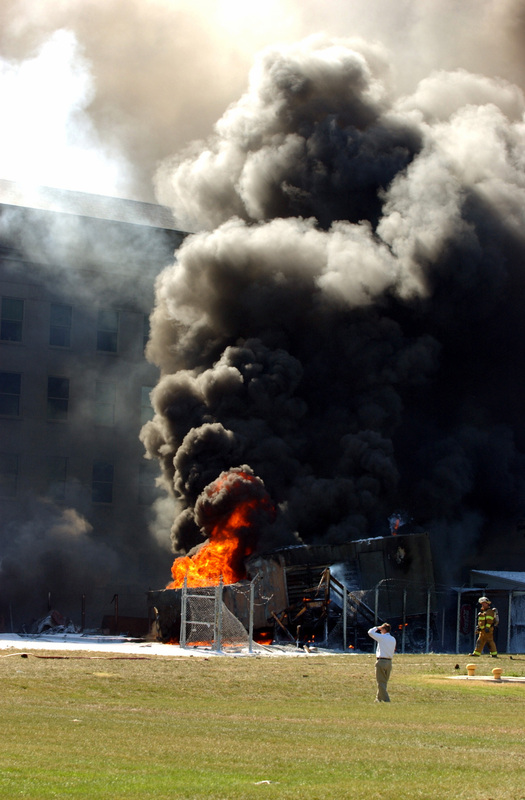 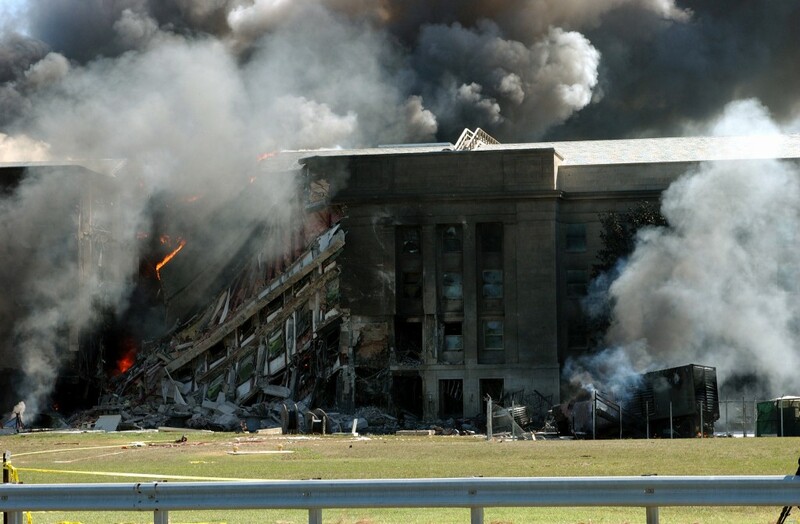 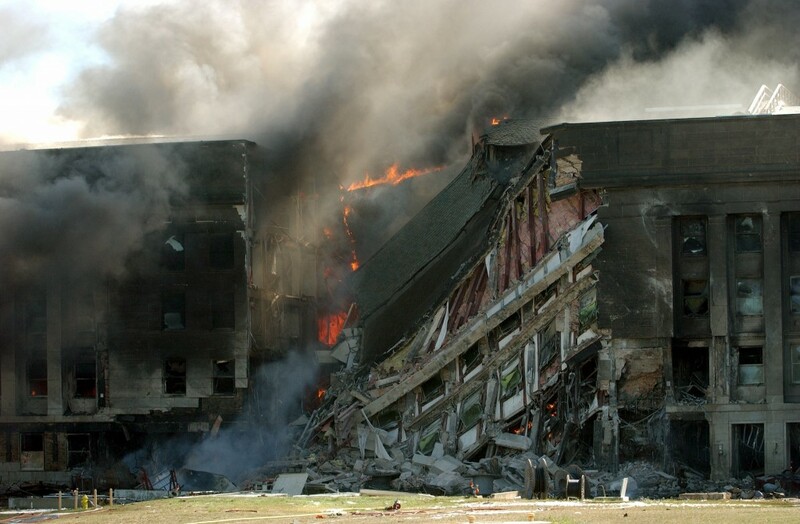 The Pentagon in flames moments after a hijacked jetliner crashed into building at approximately 0930 on September 11, 2001. 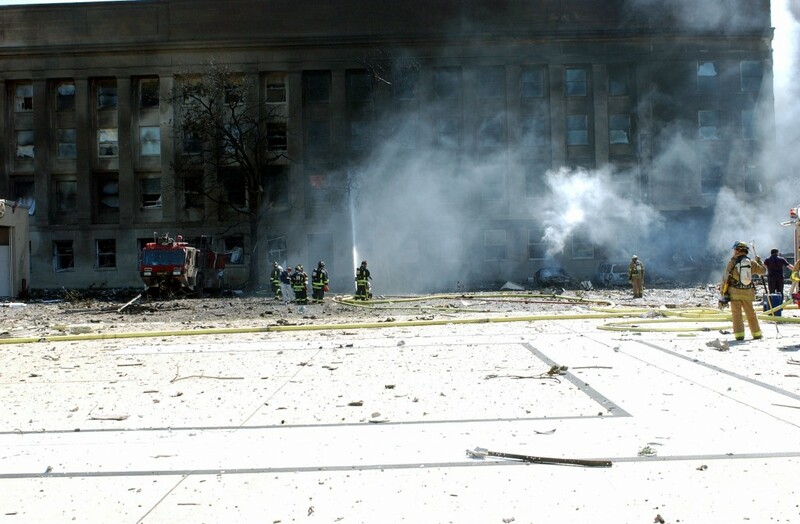 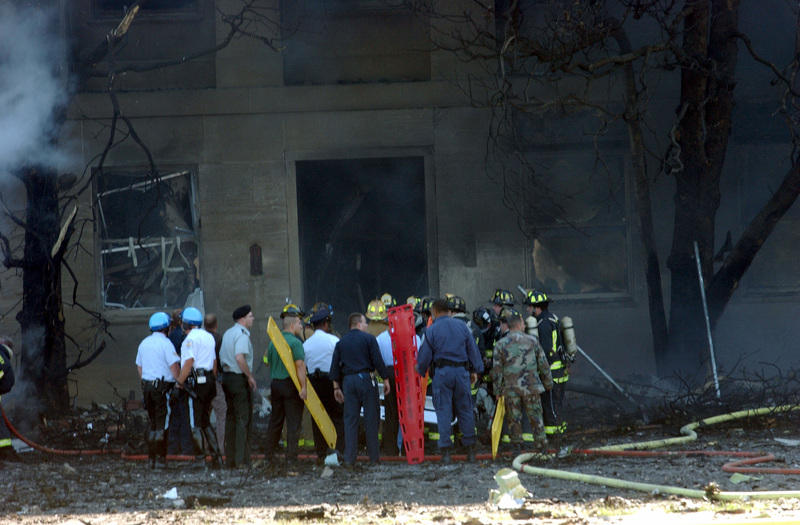 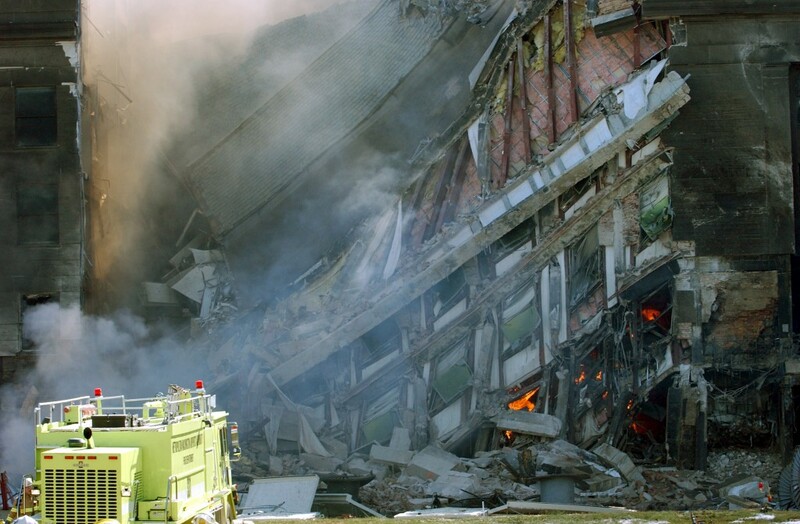 Firefighters and Department of Defense employee's organize a group to go in and find survivors moments after a hijacked jetliner crashed into the Pentagon at approximately 0930 on September 11, 2001. 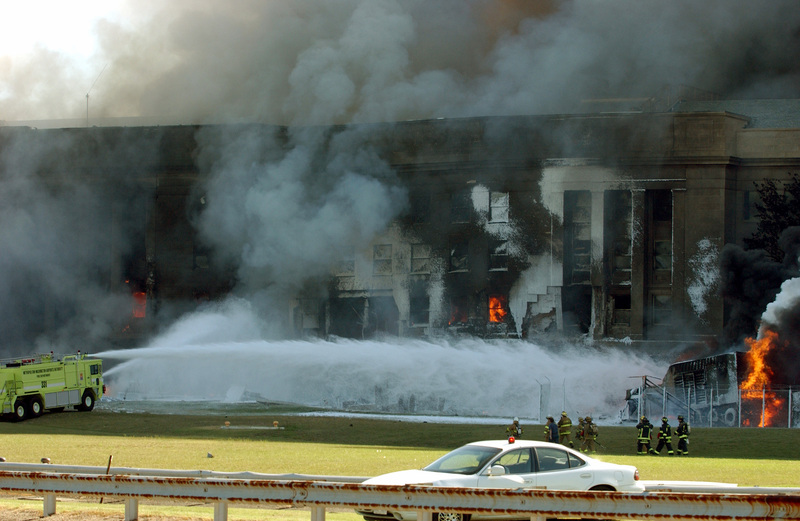 Firefighters work to put out flames moments after a hijacked jetliner crashed into the Pentagon at approximately 0930 on September 11, 2001. 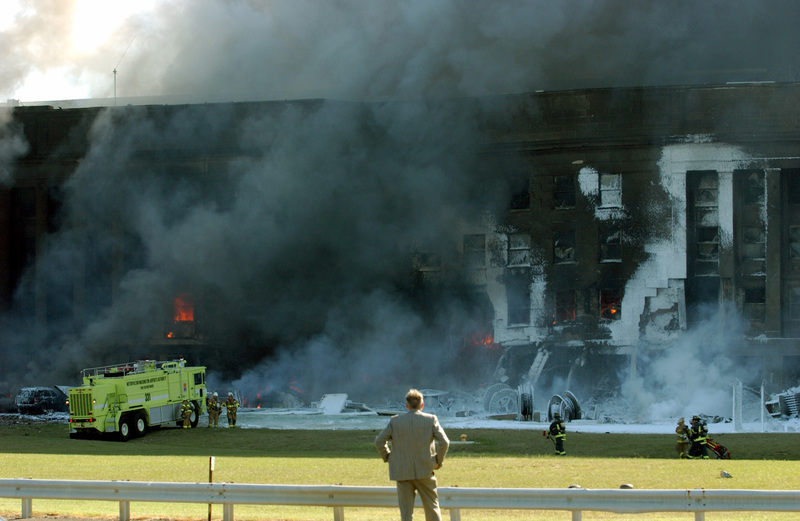 Firefighters work to put out the flames after a hijacked jetliner crashed into the Pentagon at approximately 0930 on September 11, 2001. 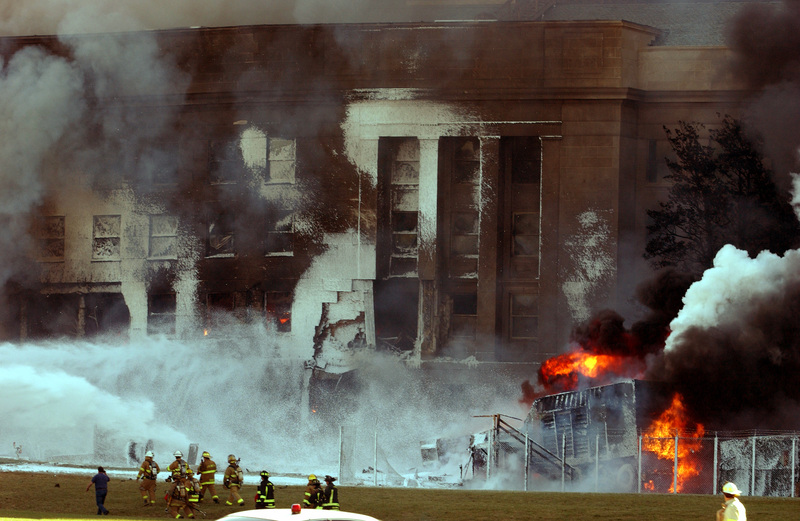 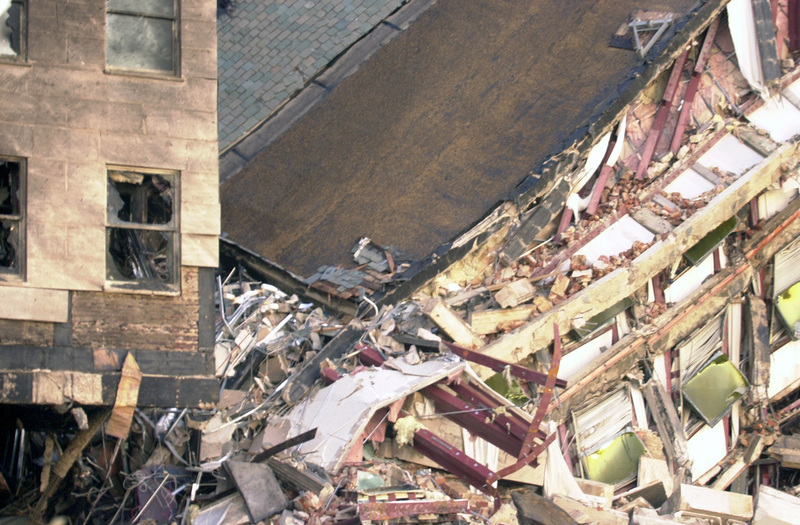 High angle view showing damage to the Western ring wall of the Pentagon Building after the September 11, 2001 attacks.